What a day! The alarm went off at 5 am to make sure we could get the coffee made and all things stowed to set off before sunrise to catch the current and tides through Hell’s Gate (East River, Manhattan). 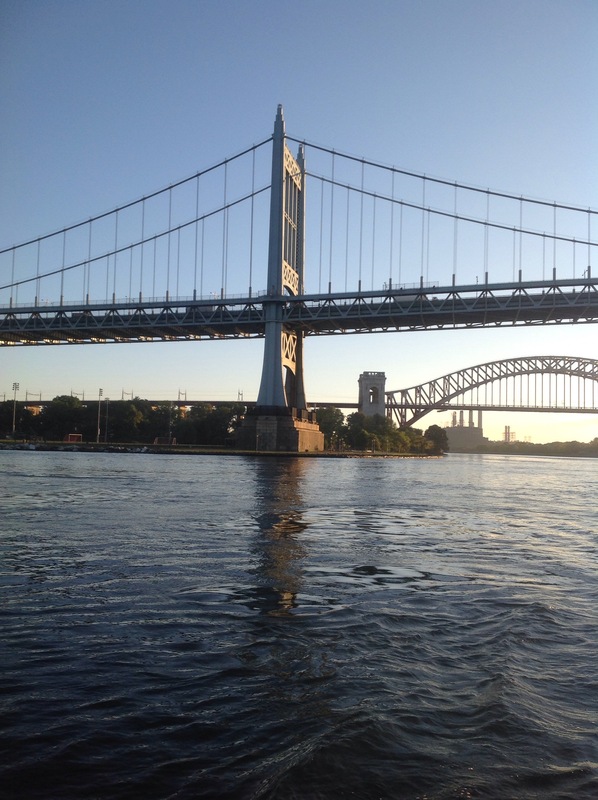 Brian pulled up the anchor in the dark and we motored towards the Throgs Head Bridge in the dark, using our IPad navigation program to make sure we could identify buoys and hazards. All went well getting under our first bridge. It was very stressful for both of us but once the sun was up, it was much easier navigating the river. Our normal speed with Scout under motor is about 5.8 knots but with the current and tides of the East River we reached 10.8 knots. Brian handled the tiller because there was no way I could control the boat. At one point, the tug/barge behind us was pushed sideways down the river. It was really an amazing journey. 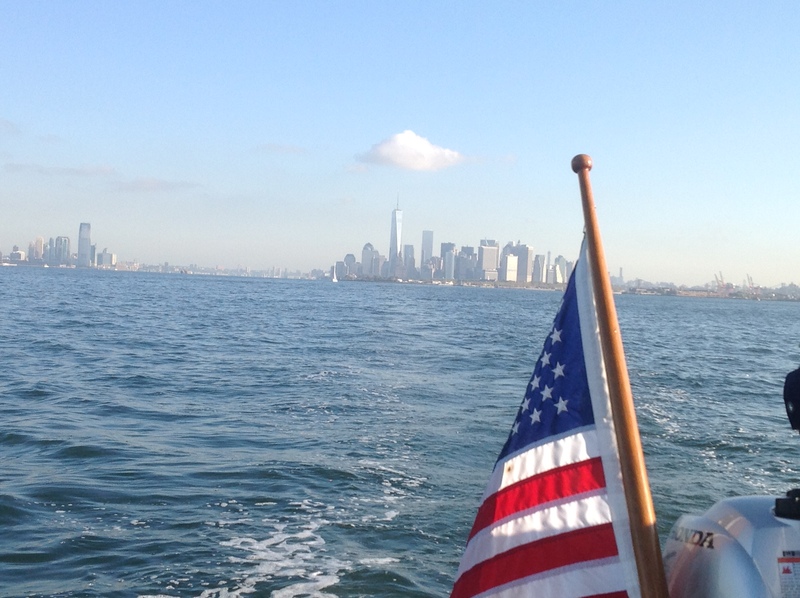 I realize that we are only an hours drive from our home port but seeing Manhattan from the water on our boat was humbling! Pickles and Phinneus were not as excited about the trip, poor Pickles had gone 24 hours without peeing and she was not very comfortable and Phinneus needed to stay on leash because I could not trust him hanging over the anchor to loose his balance with all of the ferry wakes. In general, I played total tourist in between acting as the navigator. 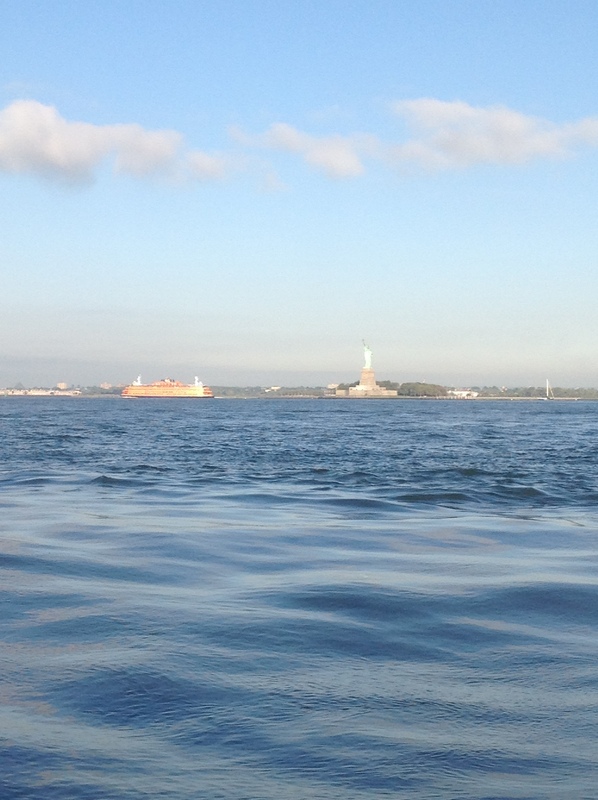 I never saw the Statue of Liberty up close before, and I can remember trying to keep the car steady in the spring to let my friend, Hollus, get a picture of the skyline, but today, I could not get enough pictures to satisfy my amazement! 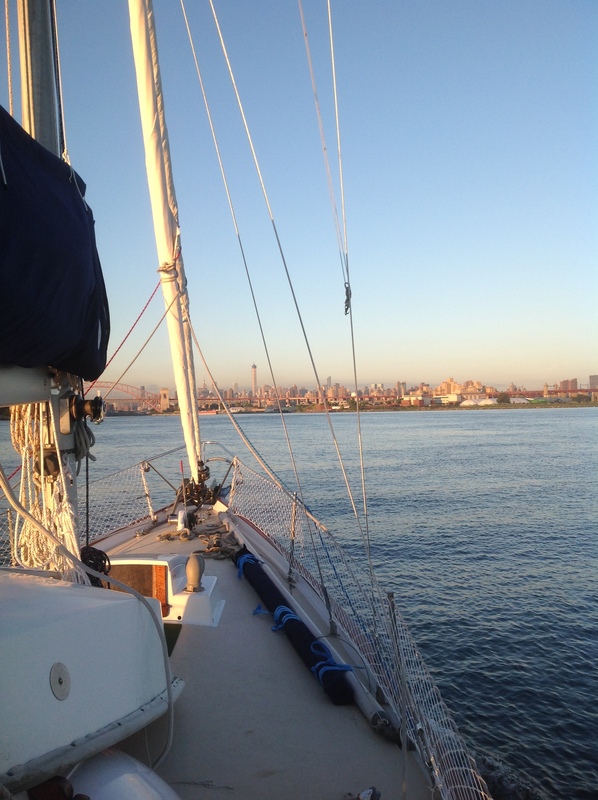 We sailed into Sandy Hook, NJ without any major issues, except the seas were about 3-4 feet and very rocky, even Phinneus was not feeling all that great. 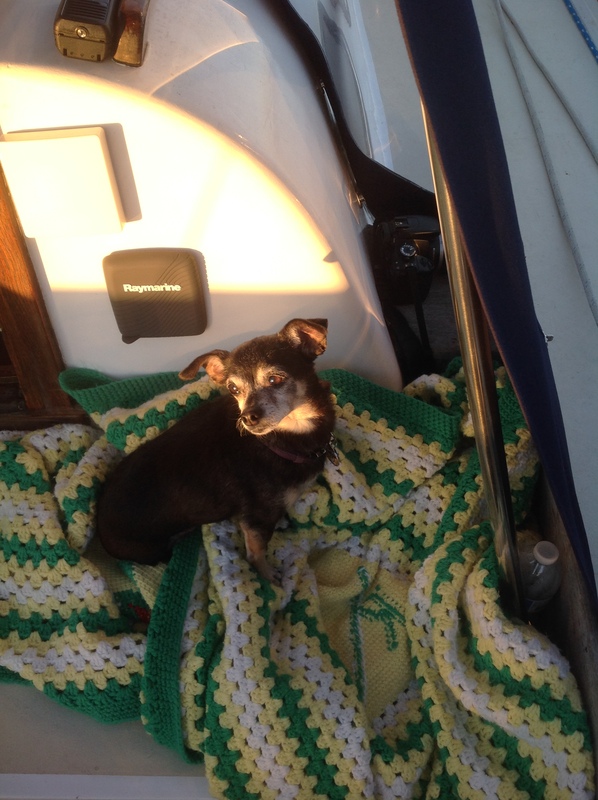 Scout was set on anchor around noon and a good nap was needed for everyone on board. Tonight into tomorrow is expected to be a major wash out, so we have a little reorganizing of the cabin to do and a whole lot of reading. Hopefully, the weather forecast stays good for a departure of Sunday. In our anchorage we have 3 Canadian boats and another American, we figure if the Canadians head out, we should follow! All is good after another delicious on board dinner, and now a good night sleep! This is just sooooo exciting!!!! I’m so proud of all 4 of you!!!!! Can’t wait to read the next post!! !